When manufacturers announce large-scale recalls of an appliance, this often gets the attention of the media. However, what about recalls that affect a smaller number of units? It is still vital that homeowners are made aware of these recalls so that they can take the proper steps if their appliance has been recalled. One such recall to be aware of is a recall of roughly 5,000 Kenmore Elite ranges that were recalled in 2015 by Electrolux due to the fact that they posed a laceration risk. If you have a Kenmore Elite range, here is everything you should know about the recall. 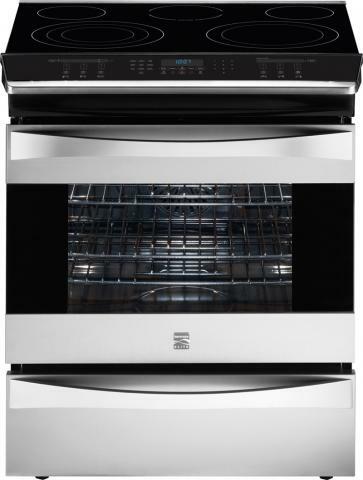 On May 20, 2015, Electrolux recalled about 5,300 Kenmore Elite slide-in ranges due to the fact that the stainless steel trim below the range’s control panel can have a sharp edge, posing a laceration hazard to homeowners. In fact, one incident has been reported of a consumer being cut by a sharp edge on the stainless steel trim which resulted in the need for stitches. The units affected by the recall were produced by Electrolux and sold exclusively by Sears as part of their Kenmore Elite range of appliances. The ranges are stainless steel and came in gas, electric, and dual-fuel options. The ranges were sold from May 2014 through April 2015 and cost between $2,400 and $3,700. The recall affects model numbers: 790.32623xxx, 790.32633xxx, 790.32643xxx, 790.42553xxx, 790.42563xxx, 790.42623xxx, 790.42603xxx, and 790.42613xxx. The model number can be found on the inside frame of the range door on the left side. If you believe that your range has been affected by the recall, you should immediately call Sears at (800) 873-5011 to schedule a repair. While we can easily repair Kenmore ranges, when dealing with a recall it is best to go through the manufacturer as they will provide a free repair or replacement as necessary. However, feel free to contact us for any other appliances issues you may encounter.